How do I Clean Old Line Set Before Installing New AC System? Subcooling, also referred to as the condensing point, is the temperature decrease below the boiling point. If the subcooling levels are too high, the refrigerant condenses too soon and may waste some of the refrigerant. Levels that are too low can create a combination of liquid and gas that will flow to the expansion valve, which can decrease the device's efficiency. It is important to check the subcooling process in an air conditioner by calculating the pressure and temperature to make sure the device is running as efficiently as possible. Measure the temperature of the liquid line. 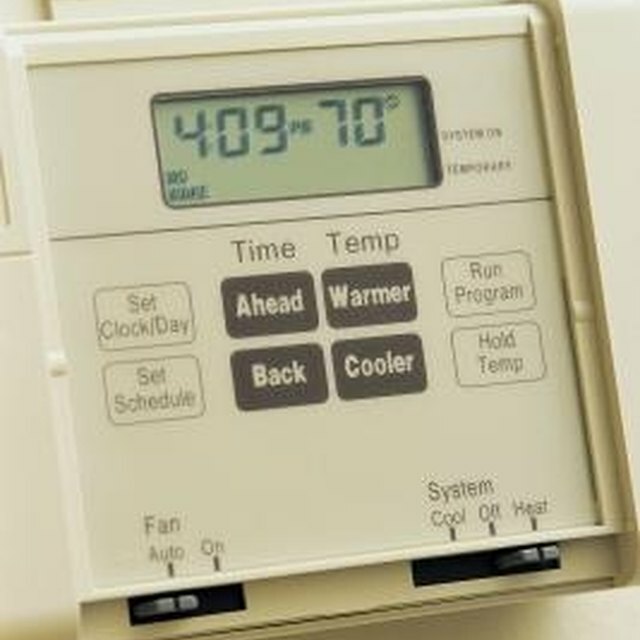 Take the temperature as close as possible to the expansion valve, before the metering device, for accurate results. The metering device controls the flow of liquid refrigerant in a system and is located between the condenser and the expansion valve on the liquid line. Attach a digital thermometer to the liquid line to take the temperature. Use twist ties to hold it in place. Calculate the liquid line pressure of the cooling device. Attach a pressure gauge to the liquid services valves. The gauge will display the pressure in pounds per inch. Convert the liquid line pressure to a boiling point temperature by using the refrigerant product's chart or gauge. Check that you have the proper gauge or chart for the type of refrigerant used. Subtract the liquid line temperature from the boiling point, also referred to as saturation temperature at pressure, to check the subcooling amount. This will tell you the correct amount of subcooling that has been performed by the device. Another way to check or calculate subcooling is to use a subcooling instrument, based on the type of refrigerant used. Hook the pressure port on the instrument to the liquid line. Attach the thermocouple to the liquid line. The device will produce a digital readout of the amount of subcooling performed. Leave the pressure gauge attached for up to 10 minutes, so it accurately reads the temperature. Dianne Hermance began writing professionally in 2005 for the "Muskegon Chronicle" in Muskegon, Mich. She has also written articles for the "North Ottawa Weekly" publication. Hermance holds a Bachelor of Science in journalism from Grand Valley State University in Allendale, Mich.